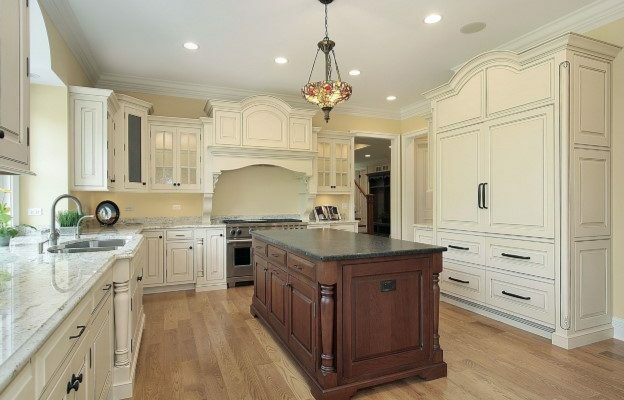 There are many questions that seem obvious when designing your dream kitchen: Do you want stainless steel appliances? What color should my floors and cabinets be? What countertop material material should I have? But there are many, less-obvious, questions out there to consider! When speaking with your designer or contractors, here are a few things to keep in mind! How should my cabinets open? Well this may seem a bit silly, this thought is actually a lot more complex. Cabinets take on a completely different look and feel depending on the hardware. 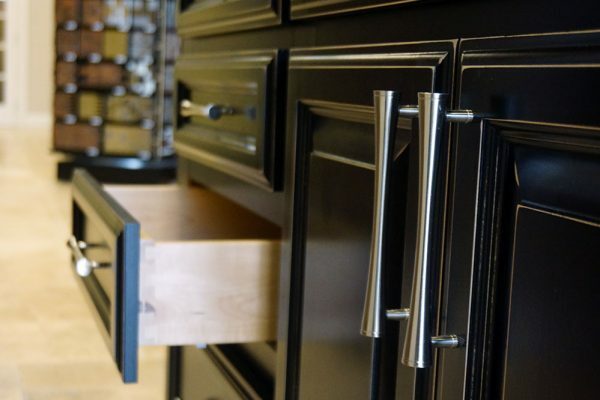 Knobs and pulls are essential for creating a finished, and luxury, look in the kitchen. While looks are important in a kitchen, functionality is important. Do you like to grab your drawer handles from the top or bottom, for example. On top of just the shape of hardware, there is also a matter of finish. Which finish do you prefer? Oil rubbed bronze, brass, brushed nickle etc. Also something to consider is, does the functionality and taste in style clash with the rest of your home? Next thing to consider is soft-close cabinets and drawers. While they are absolutely wonderful, and my favorite part of my kitchen, they aren’t for everyone! If you don’t care about them, or they aren’t worth the money to you, then right off the bat cross them off your list. But if I can give my input, I think they are a wonderful addition to any kitchen. What profile should my countertops have? The shape of the edge of the countertop may seem like a mundane detail. However, it makes a world of difference to the look and function of your counters, and honestly, the entire kitchen. Look around at some kitchens you admire, and figure out which one is right for you. On the topic of countertops, finish is another important detail. Besides choosing thr material for your counters, backsplash and flooring, you also need to decide the finish of the materials themselves. 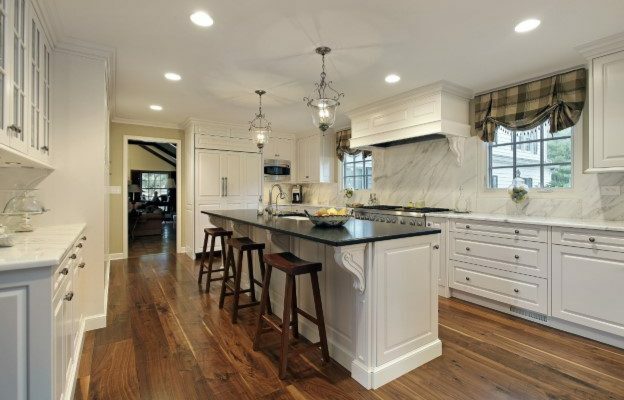 High polished finishes are very common for stone countertops, and most often the safest choice. Honed finishes leave a more natural, organic feel. In a rustic home, this is definitely a wonderful choice! It all depends on what feel you’re looking for! What finish should my fixtures be? Choosing fixture finishes is about more than just looks. 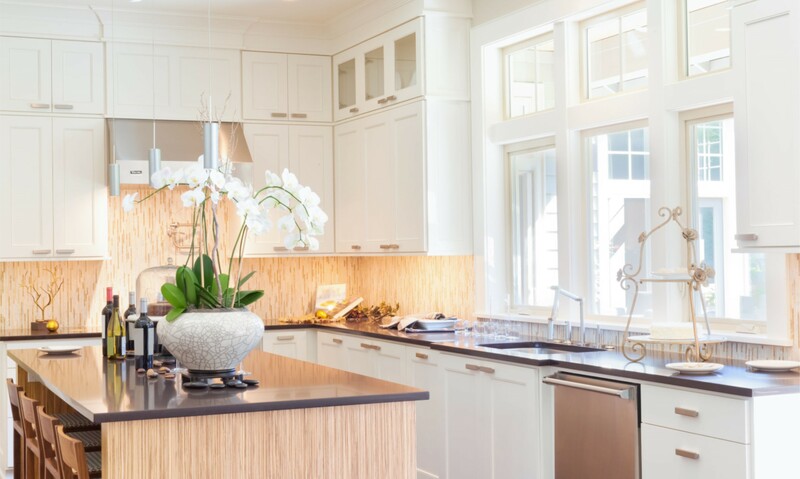 There are many ways to have contrasting finishes in a kitchen, and making it look good. There are practical choices to consider when choosing fixtures. Brushed finishes do a better job at hiding fingerprints and water spots. 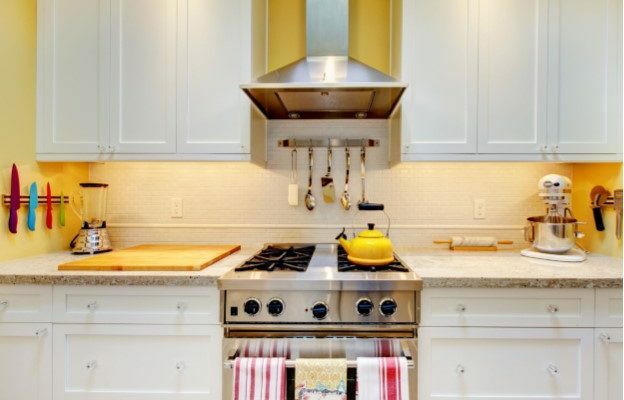 If you’re daring to contrast against your stainless steel appliances, brass and gold-tone finishes gives a warmer and more dramatic homey feeling, while stainless steel and silvery-tone finishes sparkle and blend into the rest of the kitchen. When choosing new appliances, my only real recommendation is to pick all pieces from the same manufacturer. All manufacturers choose their own body lines, which can make miss-matched appliances really clash.